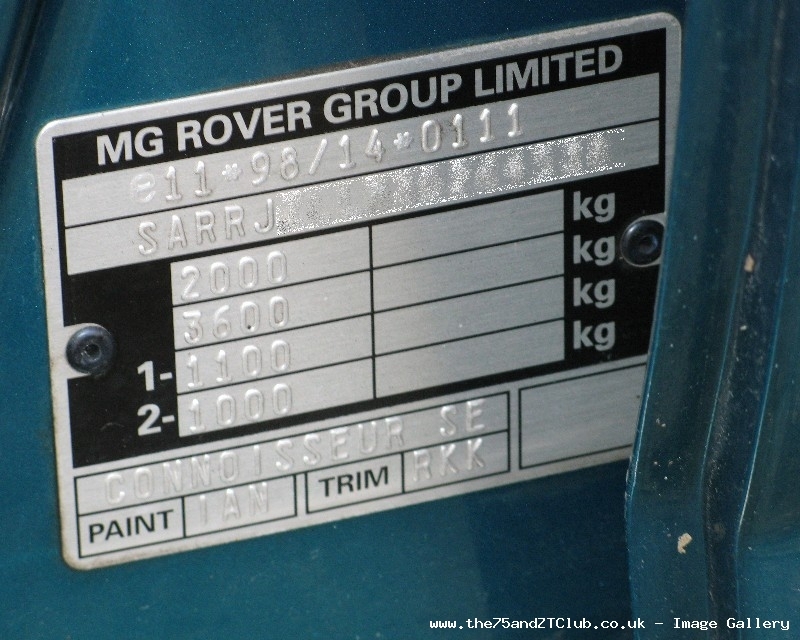 “Drive” was a major project within MG Rover Group to significantly “improve their competitiveness” (i.e.) save them money at build by deleting or standardising various items of the car in line with the rest of the vehicle range. It was first introduced from November 2000 on the Rover 25 & 45, but didn’t start to affect the Rover 75 & ZT until mid January 2001. Below is a detailed list (in order of introduction) itemising what changes / deletions were carried out on our cars, the date of introduction is quoted as well as the first affected VIN number. 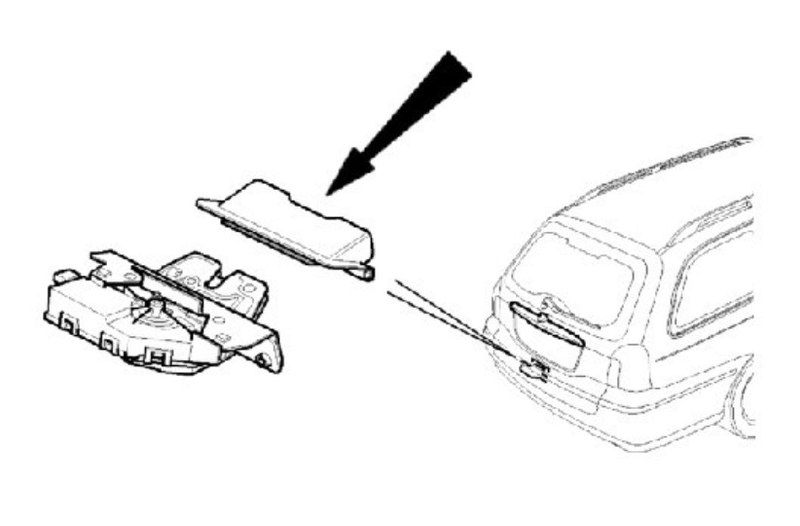 This information was taken from MG Rover’s Technical Workshop Manual, and where possible I have attempted to illustrate the affected change points. The D post badge was deleted from the D post finishers. 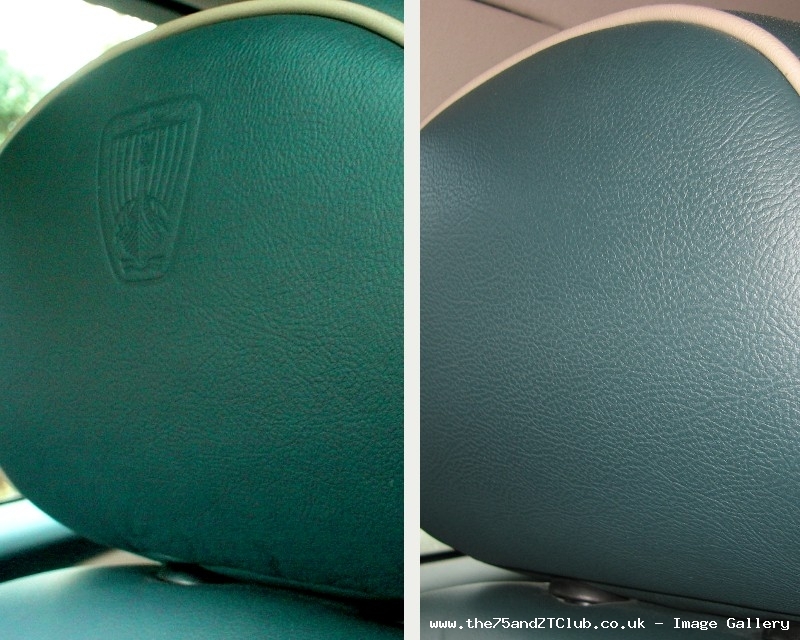 The leather headrests found in the Connoisseur/SE models lost the Rover Viking logo previously embossed into them. The high pressure PAS fluid sensor & pipe assembly were deleted. 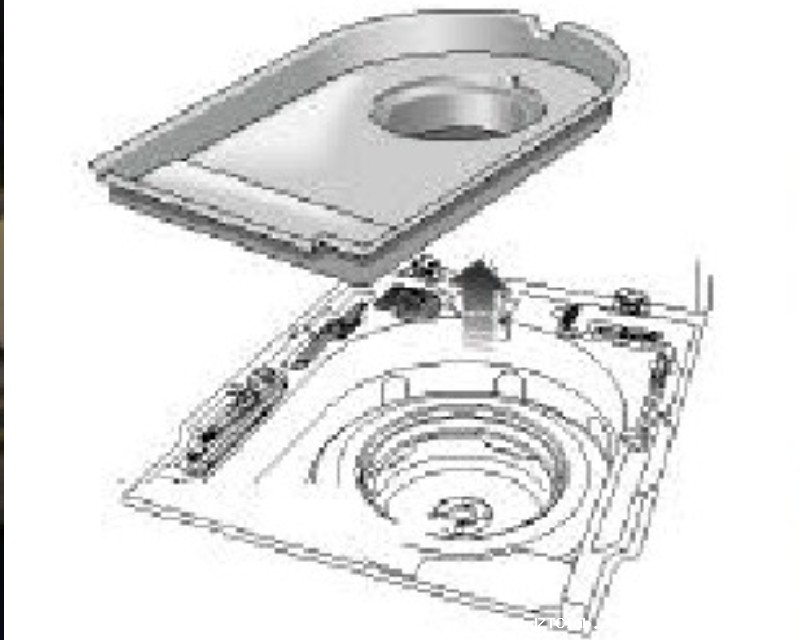 The sensor was no longer required due to a recent re-design to reduce fluid system pressure. The system operates at a maximum 80 bar, the pressure was originally 100 bar. 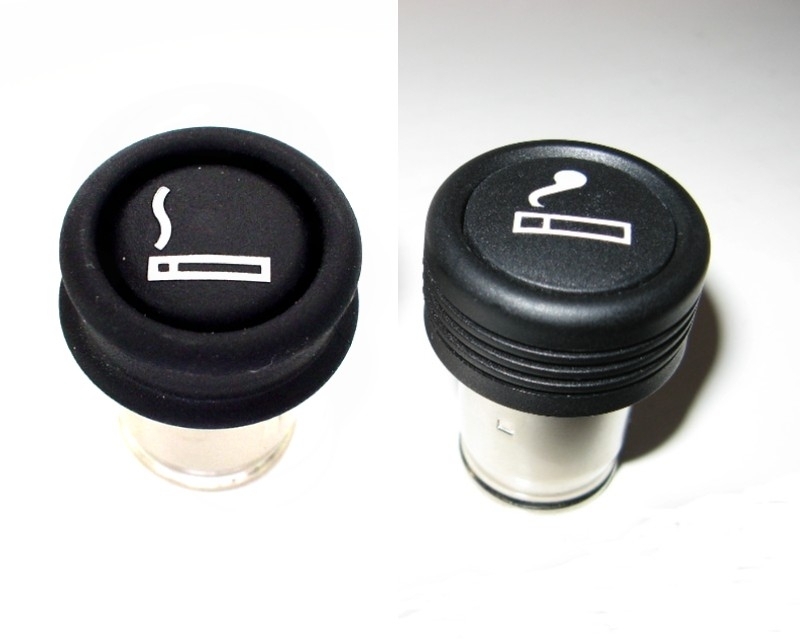 Classic model visors were changed to PVC material. 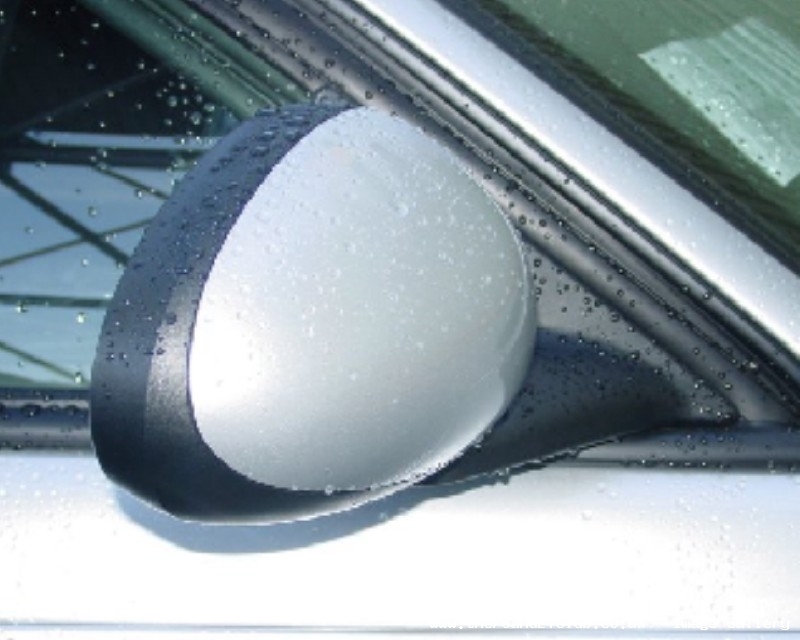 Club models had the illuminated mirror units, originally fitted as standard, deleted and replaced with non illuminated units – unless requested as an option at build. Vehicles which originally had 205/65 R15 size tyres specified, were subsequently fitted with 195/65 R15 ones. 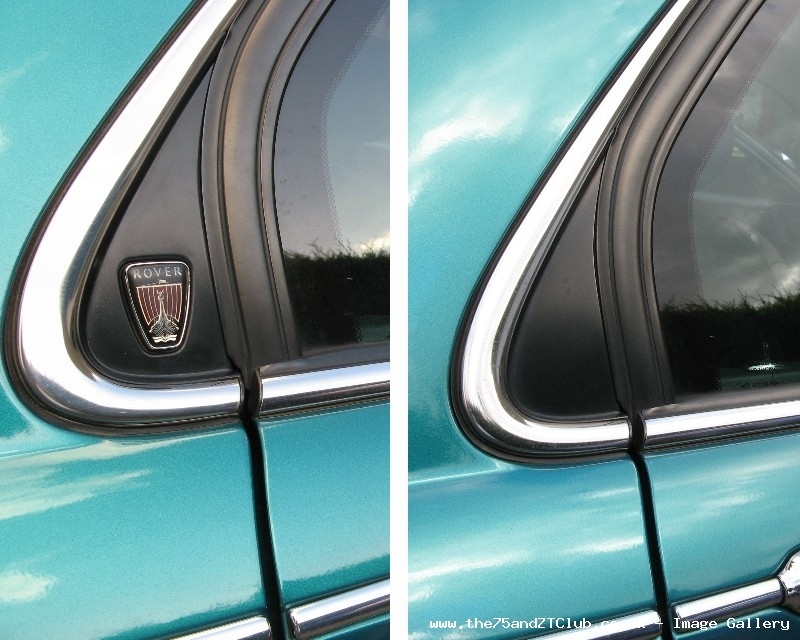 The original moulded type door reflectors (fitted to all doors) was replaced with new flexible self-adhesive type reflectors. The tool kit jack was originally fitted with a handle grip, this was then deleted. The original transmission oil cooler was of the ‘air blast’ design (uses a radiator & cooling fan, wheel arch located). These components were replaced with a fluid type oil cooler. 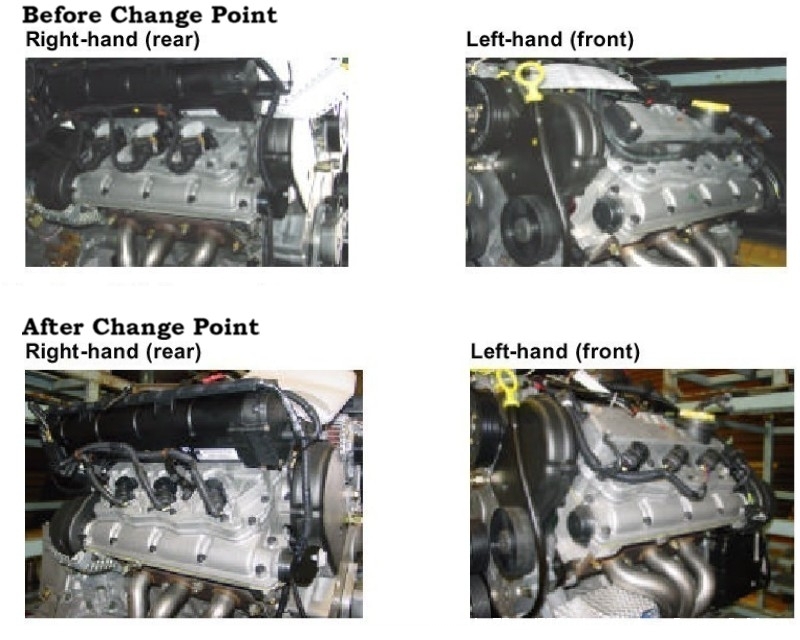 The original engine oil cooler has been replaced with a re-designed fluid type cooler. This new cooler could not be fitted retrospectively to earlier engines. The rear lamp access panels were deleted and the moulded luggage compartment trim modified. 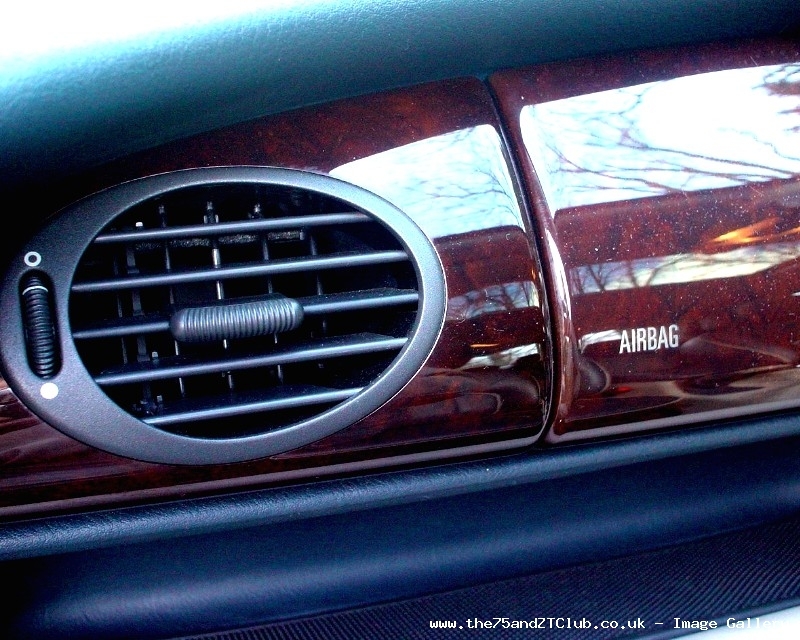 The picture below is the real wood dash, notice it has the word 'AIRBAG' written in gold lettering onto the wood, and the air vents sit flush to the wood. 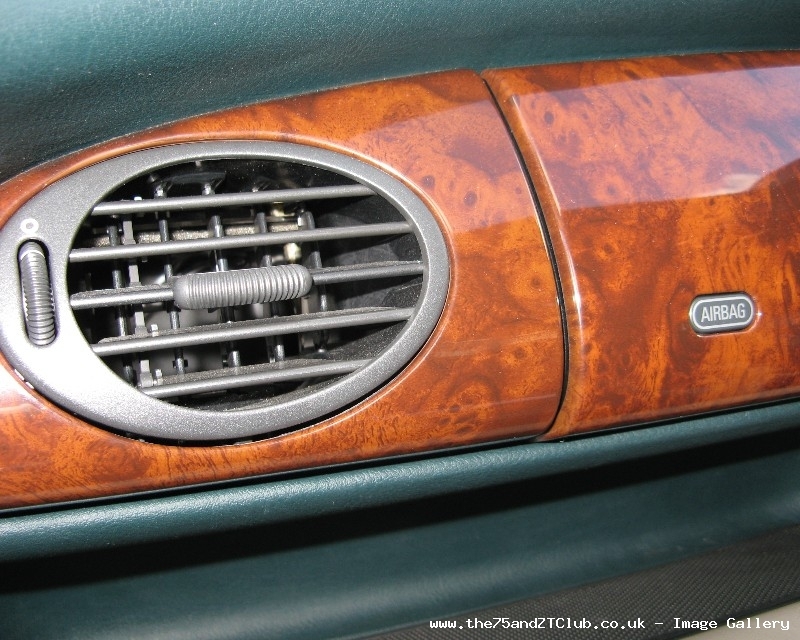 and this is the plastic version, it is identifiable by having an 'Airbag' recessed badge instead of the gold lettering, also there is a noticeable gap around each air vent. 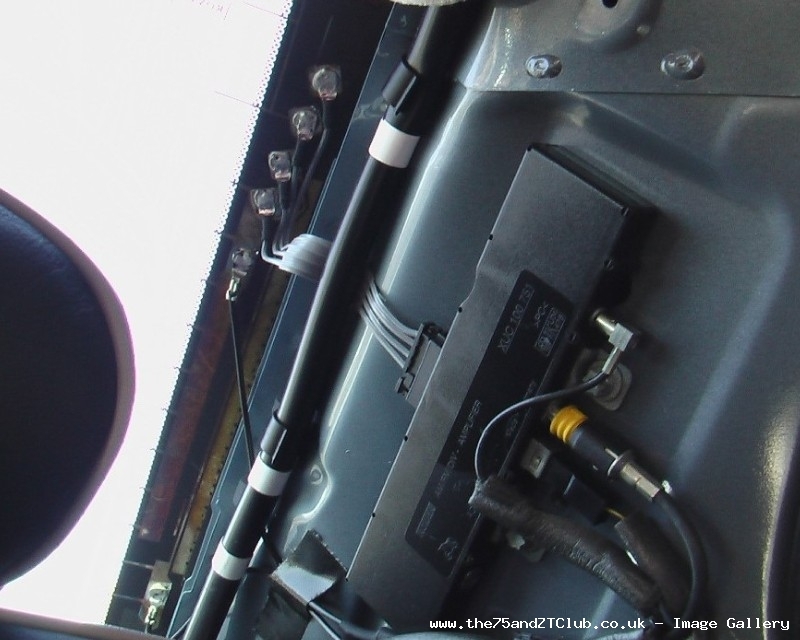 On vehicles fitted with Symphony / High-Line ICE systems, an AM/FM ‘Diversity’ amplifier was located in the passenger side ‘D’ post. This unit was subsequently replaced with the Harmony Non ‘Diversity’ unit, and the rear screen glass spec was changed from part number CQB000220 (full coax) to CQB000350 (single coax). In addition, the IF diversity cable linking the amplifier in the ‘D’ post to the tuner was removed from the wiring harness. 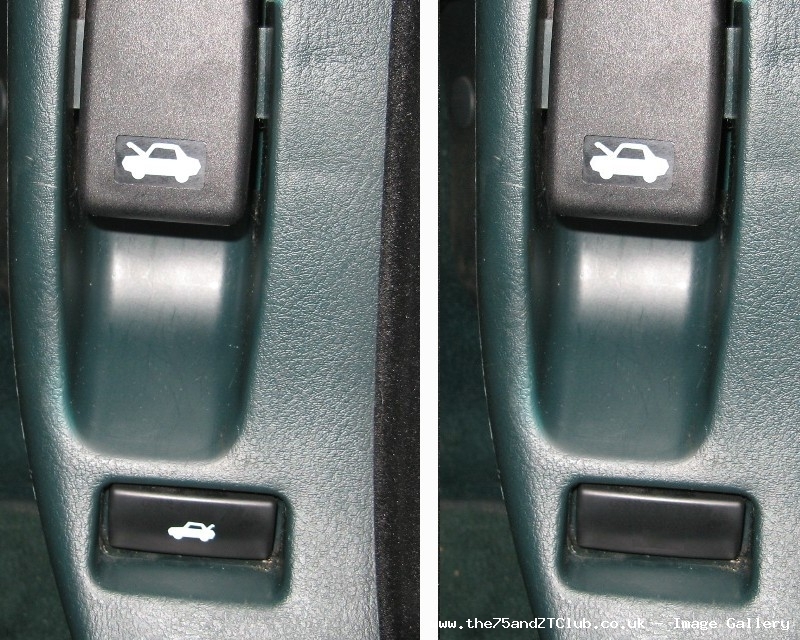 So from this point on, all cars only use one FM element from the rear screen instead of a choice of three. 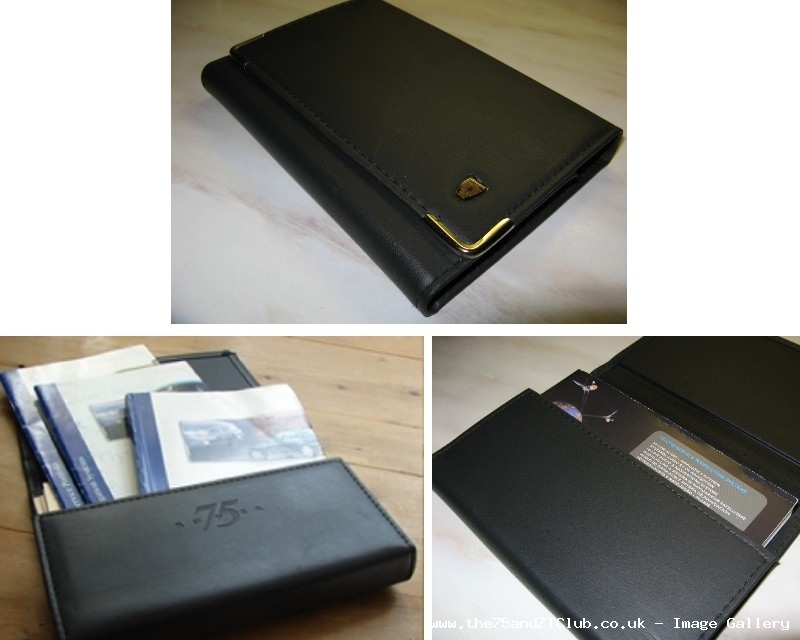 The original leather style vehicle document wallet underwent a subtle change from having 'Rover 75' embossed on the inside flap, to having a blank flap without it. In addition, some time later, the leather wallet was replaced by a thin translucent plastic pouch. 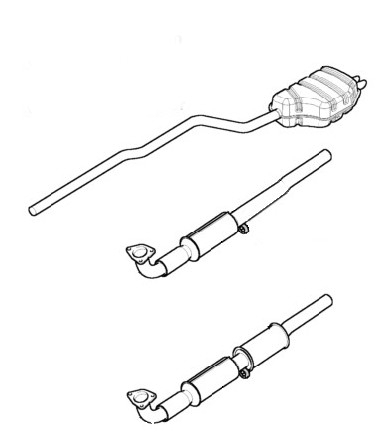 Forward exhaust section – The silencer immediately behind the converter has been deleted. The pipe section behind the deleted silencer was originally double skin, this was subsequently changed to single skin. Rear exhaust section – The long pipe section forward of the rear silencer was also changed from double skin to single skin. The rear silencer was then modified and the internal ‘interleaf’ construction was deleted, externally the rear exhaust section appears the same. 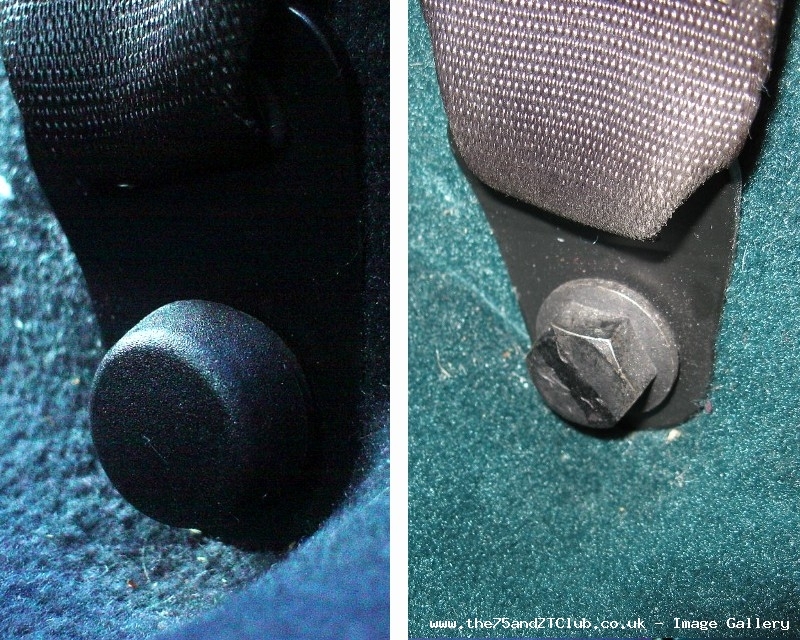 The driver's grab handle was deleted from all derivatives and replaced with 2 blanking plugs. 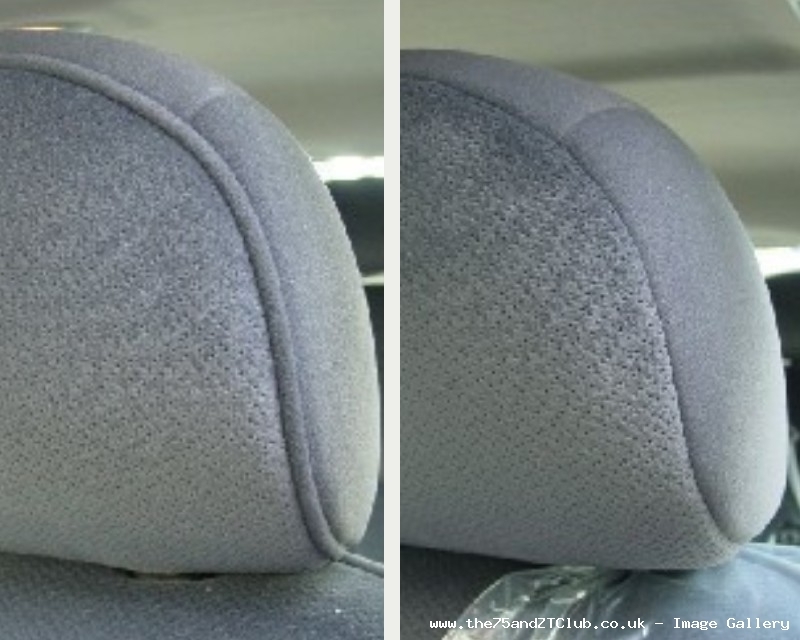 The ‘Butile’ sound absorbent material was deleted from the rear parcel shelf. On vehicles with 16” & 17” wheels a ‘Dynamic Absorber’ was then required to reduce transmitted road noise to an acceptable level. 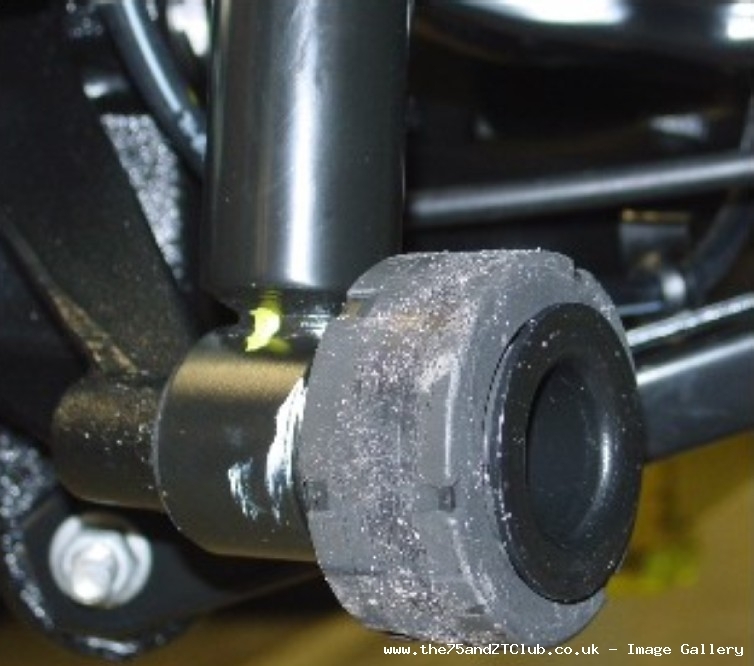 This Dynamic Absorber was fitted to the base of the rear suspension dampers. In addition, all ZT models had the Dynamic Absorber fitted. 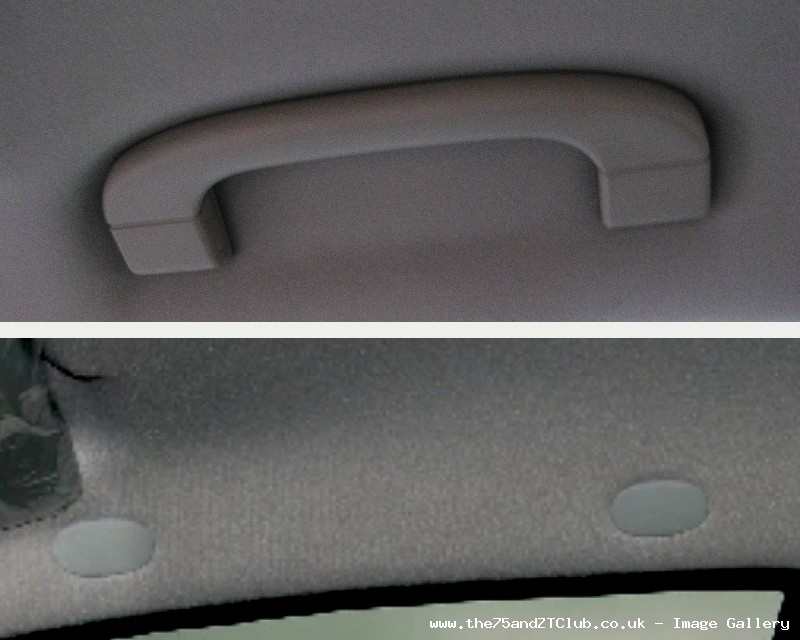 The trim piping on the fabric versions of the headrests were deleted. 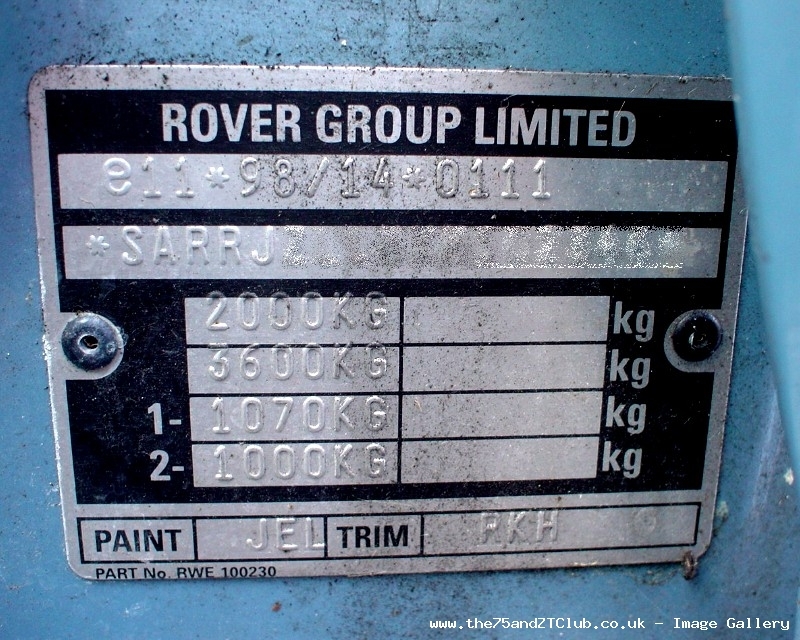 All vehicles were fitted with re-shaped (shallower) door mirrors as per the Rover 25/45 style. 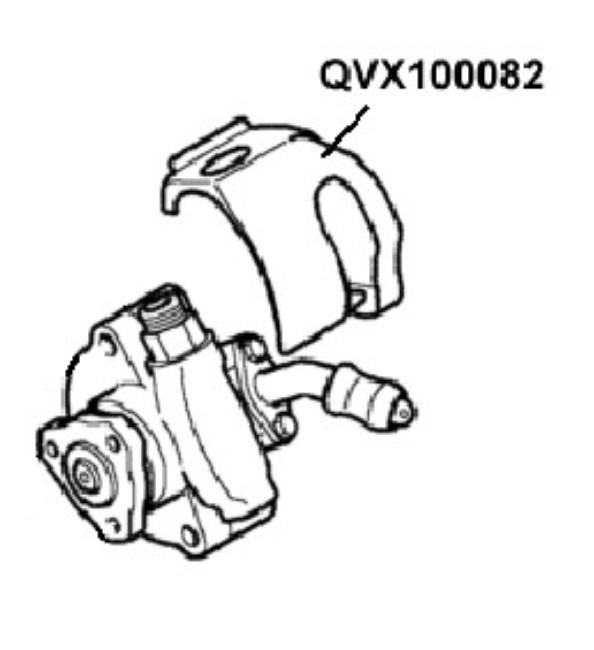 Originally, the rear brake discs were vented on all ZT derivatives. 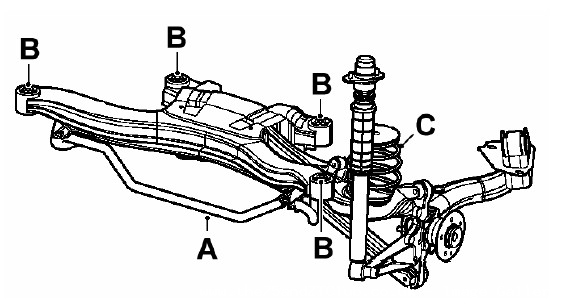 From the change point indicated, for the ZT entry model (160Ps) only, they were subsequently re-specified to solid rear brake discs. The tailgate latch plastic finisher was deleted. The fuel burning heater was deleted as standard fit on all diesels after this date. 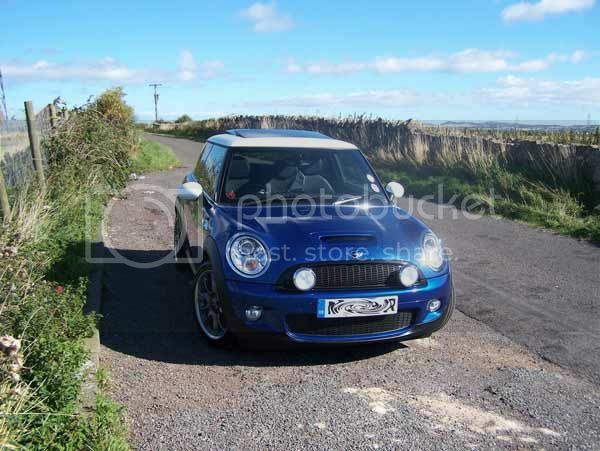 It was subsequently offered as a line fit or aftermarket option only. 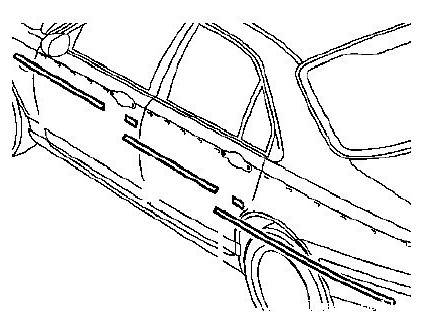 However to simplify fitment, the original cooling hoses and fuel lines were retained and built with bypass hoses and end caps to enable easy conversion if required. The body colour side finishers and lower body colour number plate finisher, was replaced by chrome finishers as per Rover 75. The body colour finishers could still be requested as a line fit option when placing the vehicle order. The engine undertray and fixings were deleted on 1.8 petrol models only. From the above change point, the spare wheel was replaced with the ITR – Instant Tyre Repair kit. Housing for above shaped to fit redundant spare wheel recess. Up to the change point quoted, all club models featured ATC as standard. 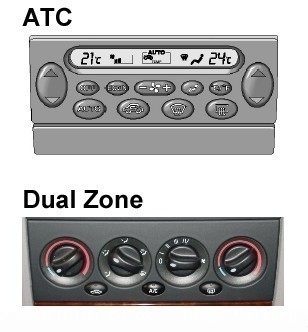 From the change point, only Club SE models would be fitted with ATC. Club models would then on be fitted with manual air conditioning similar to that fitted to Classic SE models, but would include ‘dual’ zone temperature control dials. 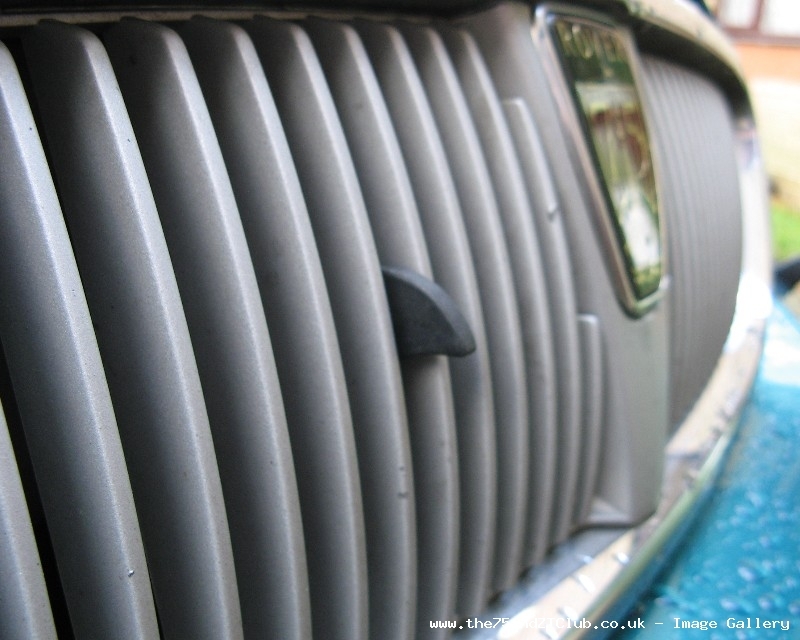 The bonnet release 'claw' mechanism was replaced with the conventional MG Rover 'stick your hand in' release catch. 6 Bremi ignition coils used. 3 bremi direct coils used on the right-hand (rear) bank of cylinders. 3 further Bremi coils attached to the inlet manifold supply the left-hand (front) bank of cylinders remotely via conventional H.T leads. 6 ‘Champion’ plug top ignition coils are used. These coils are arranged directly on top of the spark plugs and therefore do not need H.T leads. These new coils function in exactly the same way as the previous coils using approximately the same peak primary current but with a shorter dwell time. As with the previous Bremi coils fitted to the rear bank of pre change point engines, no connection can be made to the H.T outlet or spark plug connector for diagnostic purposes. 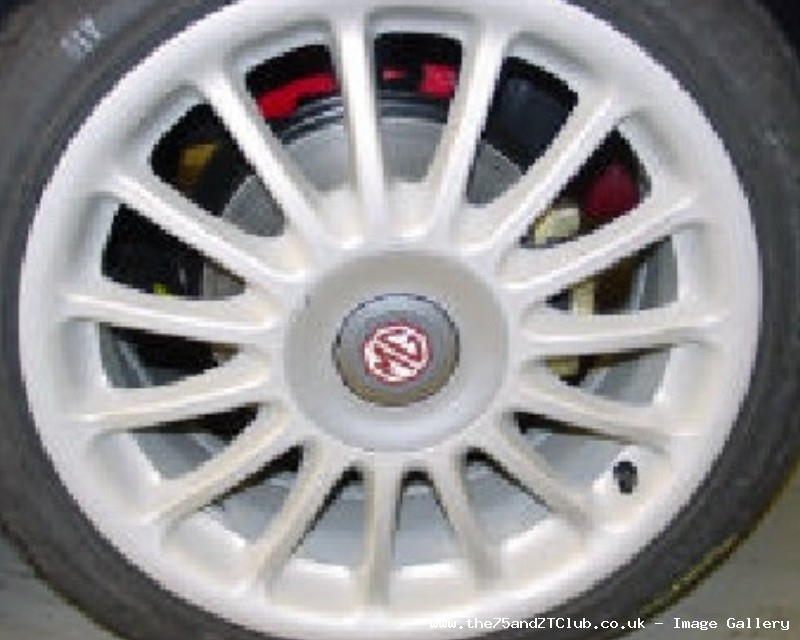 The alloy wheel centre caps fitted, were changed to plastic ones. The drivers side plenum drain tube (ECX100081) was replaced with a sealing grommet, the passenger side drain tube remained unaltered. 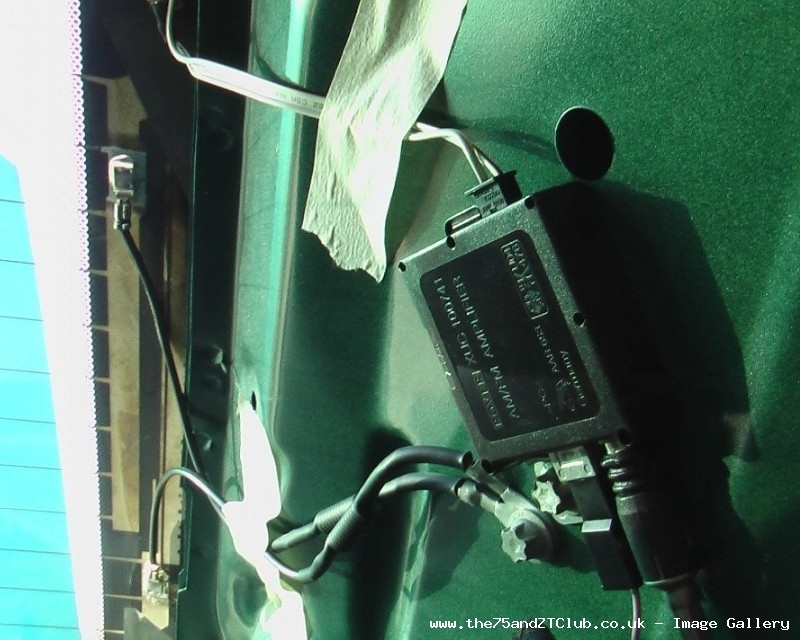 The tailgate remote switch situated on the lower A post on all tourers was deleted, and replaced with a blanking plug. 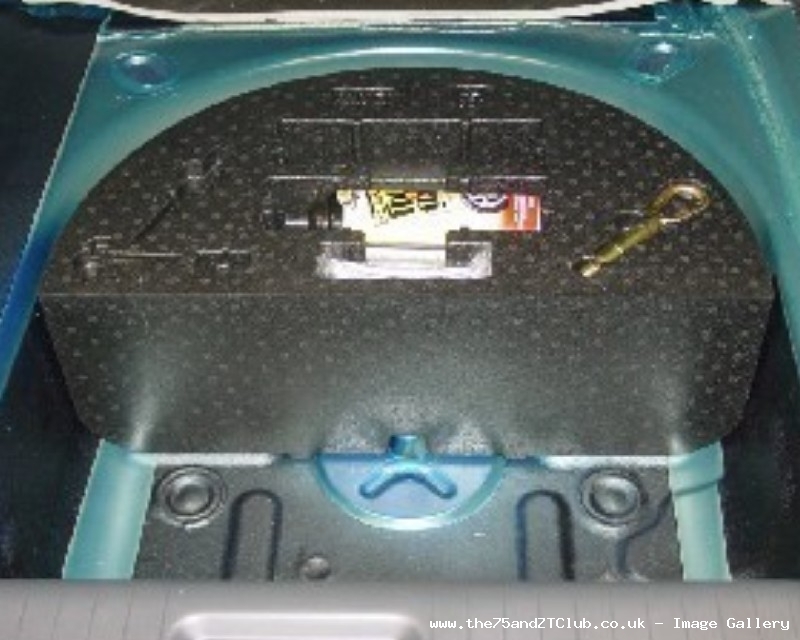 The tourer toolkit stowage for the spare wheel / ITR, was replaced with the saloon semi-circular version situated in the spare wheel well. In addition, the tourer under floor storage tray was deleted. 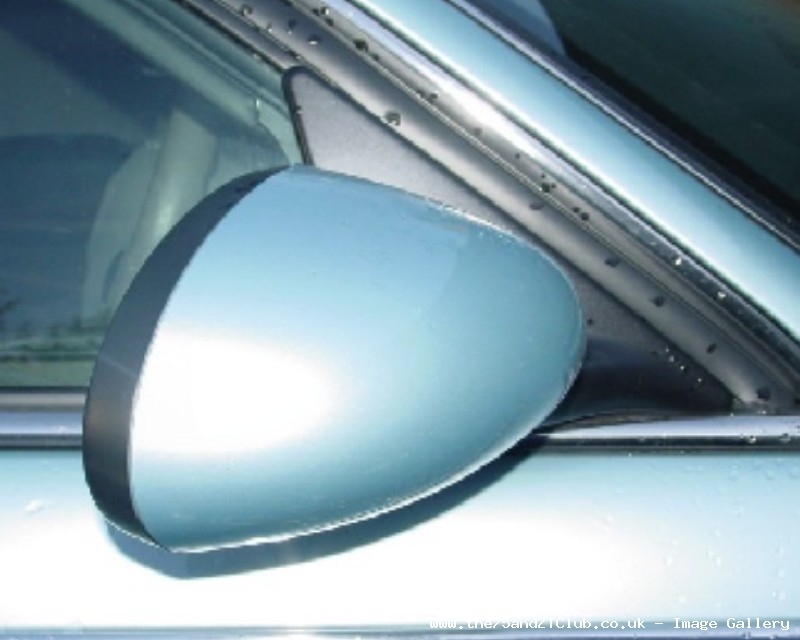 The body coloured door mirror caps originally fitted to the base spec ZT & Rover 75 Classic, were replaced by black caps. From the above change point, a new airbag DCU was fitted. The supplier changed from Temic to Autoliv, and the connector housing and pin out configuration changed. The new connector was located to the right side of the centre tunnel with wiring harness secured to the left, also the earth point was relocated to the DCU mounting. 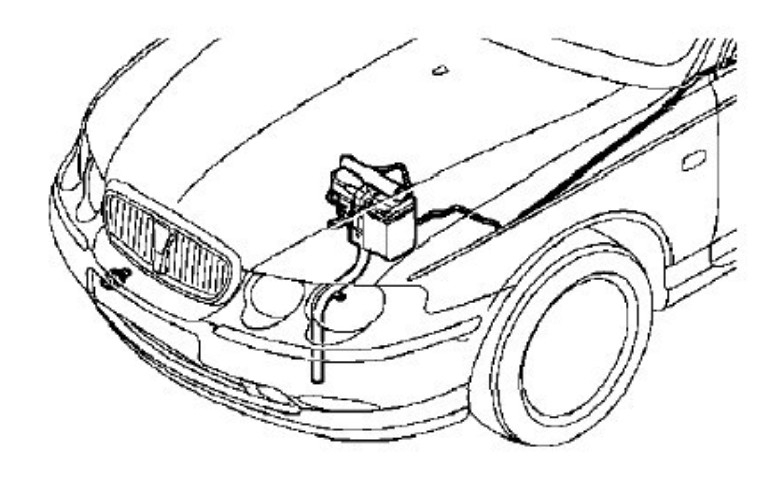 From this date the main wiring harness on all models was redesigned to incorporate the body harness. In addition, the original passenger compartment fuse box was replaced with a hard wired modular type fuse box. Deletion of separate fuse box component from harness. Deletion of satellite fuse holders dependant on options. New fuse design, changed from standard blade type to mini type. New spare fuse holder and fuse remover. 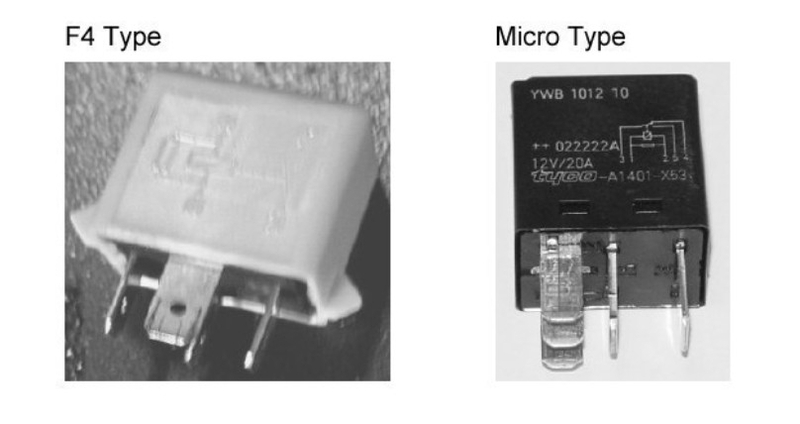 New microtype relays replace the previous larger F4 type. Deletion of the cigar lighter relay, feed now had to come directly from the battery via fuse 3 (15 amp) in the passenger compartment fuse box. A new accessory link lead kit, part number VUB003120, was made available to connect various accessories to the new fuse box. The kit consisted of 2 link leads which connected to fuse box terminals & an additional lead with an earth eyelet. This allowed mini fuses to be added to the spare fuse positions in the passenger compartment fuse box. All 3 link leads had the same type of terminal as used on current accessories therefore the current procedure of de-pinning the three way & re-pinning into single housings was carried over. 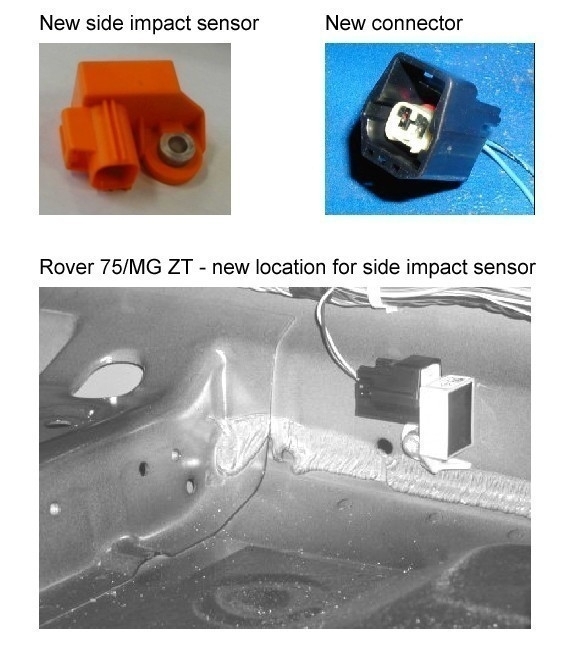 The side impact sensor style was changed at this time also, the connector colour was altered to blue with the sensor being changed to orange. In addition, the location of these sensors was changed, they were relocated to the inner sill with one facing forward, and the other facing rearward. A new throttle position sensor was fitted to a re-designed pedal box. The harness connector was visually different. Finally, from this change point, any redundant connectors resulting from previous component deletions were removed i.e right hand horn connector, A post tailgate release connector etc. 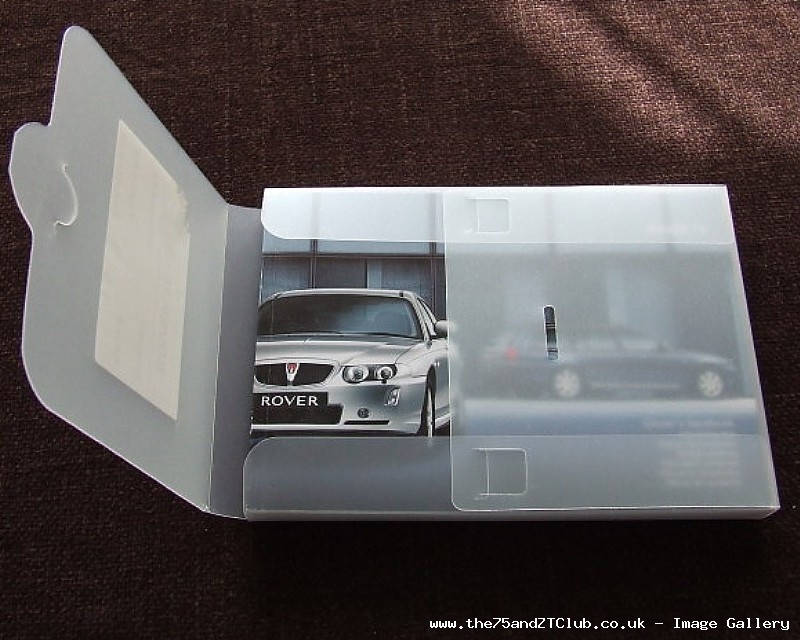 That is as far as I can go with regard to Project Drive, I’m sure there were other modifications beyond January 2003, such as the deletion of the Velour door rubber, and substitution with an all rubber version, but sadly I have no further details - perhaps others can help?. Last edited by Dragrad; 1st April 2016 at 01:29.. Reason: Updated due to upload issues. Thanks Russ, I don't have an exact date for the deletion of the Leather headrest logo, so that helps place it better, if others can report their build date or last VIN digits I can narrow it down further, then re-order it in the post. 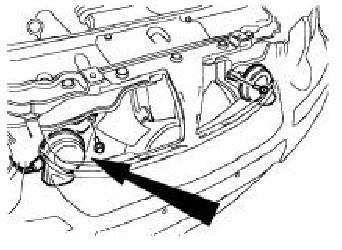 Re: the seat belt finishers, it's possible, I suppose, that you car had already gone through the seat belt fitting assembly line prior to the 4th May change point, but wasn't complete and ready for delivery until the 5th June 2001, I wonder if your VIN number is higher than 218882 - the change point one for the finishers? Also the missing piping on the centres of the seats on later cars must be part of project drive, or as it should be called deprive! Nice one Reebs, a good eye opener. Well I guess it gives us all something to retrofit as most of the alterations seem to be for the worst IMHO. Still, I guess it saved Rover a few quid. Brilliant post. Should help a lot of owners understand why something might be missing from their particular model.